This brightly colored and mutiple-patterned gizmo is visually appealing to help develop your baby’s vision while its multiple textures engages a baby’s tactile development. Combined with the various sounds that it makes, this gizmo is bound to keep your baby fascinated and occupied. 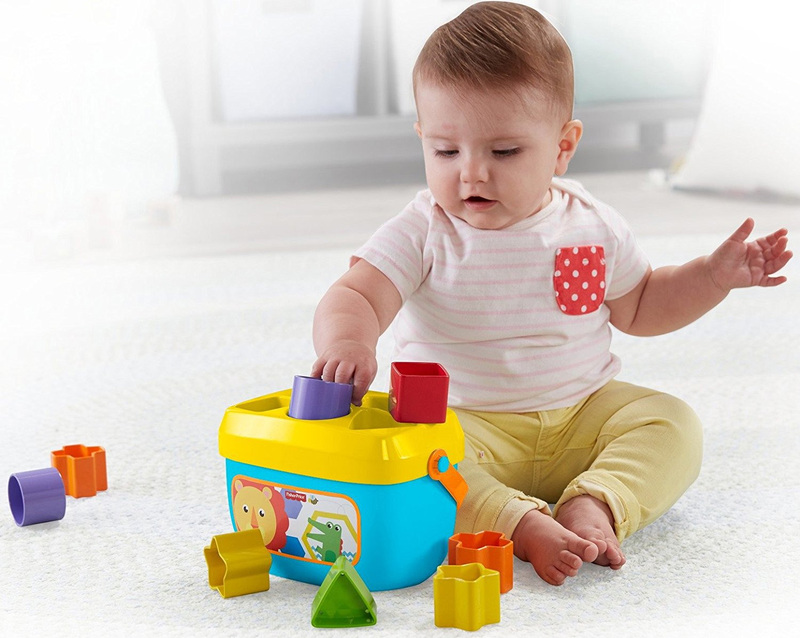 The brightly colored hollow blocks allow babies to easily pick them up with their little hands. 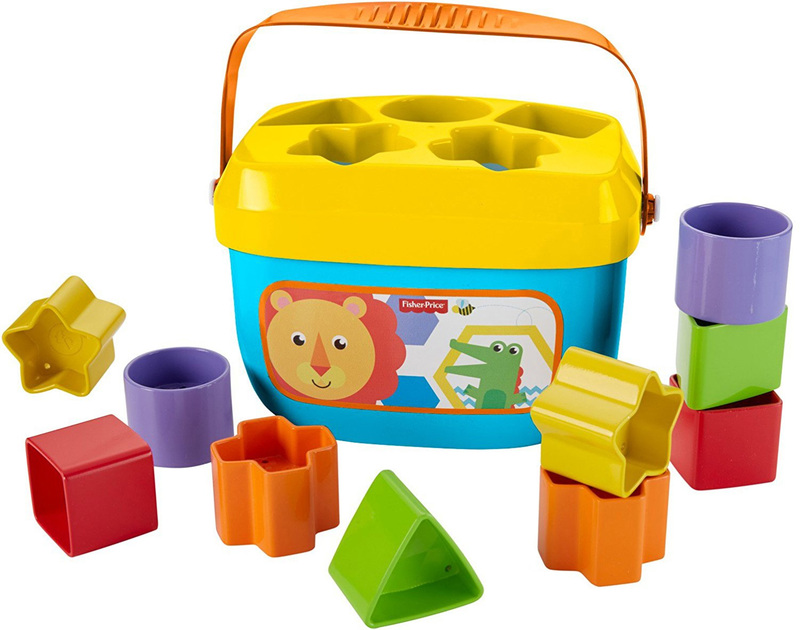 This classic early education toy is a great way for your baby to develop his or her problem solving skills while learning about colors and shapes. 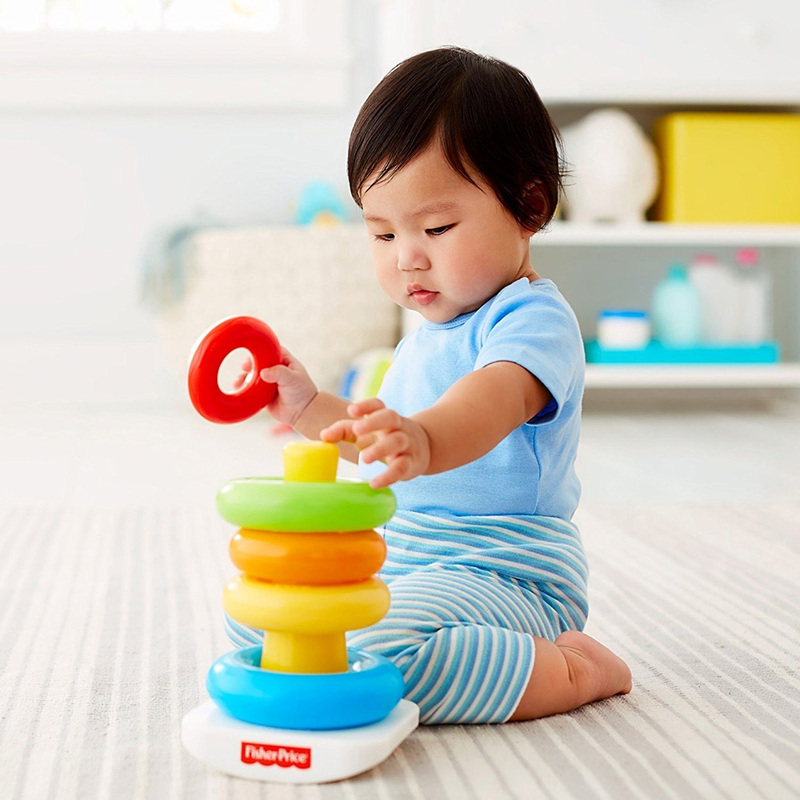 You simply can’t miss with this classic early development toy as its a great way to introduce your baby to the concept of stacking and relative sizes with the brightly colored rings. This toy always appeals to babies from infancy through toddlerhood. This stacker also plays a variety of fun music for your little one to enjoy. 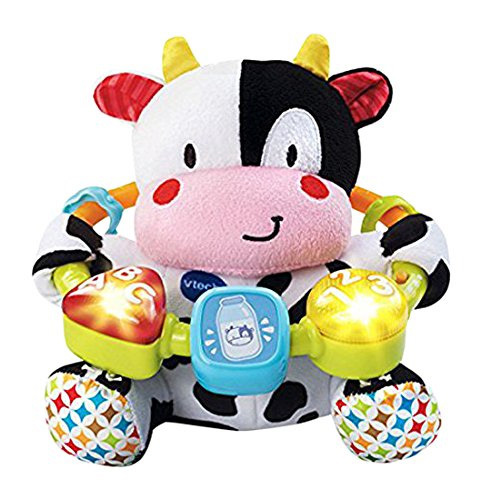 This cute talking and singing stuff toy is sure to amaze your baby and keep him or her entertained with its 30+ playful songs, melodies, rhymes, sounds, and phrases. Huggable and made up of a variety of fabric textures, this lovable cow is also a great for your baby’s tactile development. The push button interactivity also helps develop fine motor skills. This infant toy and teether is a mesmerizing maze of brightly-colored tubes combined with a rattling sound that your baby will surely find engaging. Babies just love to grab and chew on this as it gives them a variety of ways to hold this toy while enjoying nibbling on safe and soft puzzle of tubes that get it right where their teeth are coming out and their gums are hurting. Please go to the Next Page for early development toy No. 5 on our list.